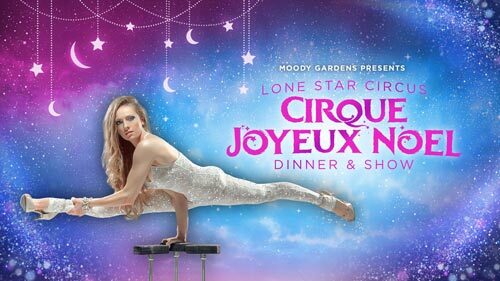 Meet one of the performers who will be starring in both Lone Star Circus’ Cirque Joyeux Noel at Moody Gardens Hotel, Spa and Convention Centerand Cirque Joyeux at Dallas Children’s Theater! You may recognize the face and voice of Johnathan Lee Iverson, who was the first African-American ringmaster with Ringling Bros. and Barnum & Bailey Circus and named as one of Barbara Walters’10 Most Fascinating People. We are thrilled to have him perform at Lone Star Circus for the first time. You can see him in both Galveston AND Dallas!